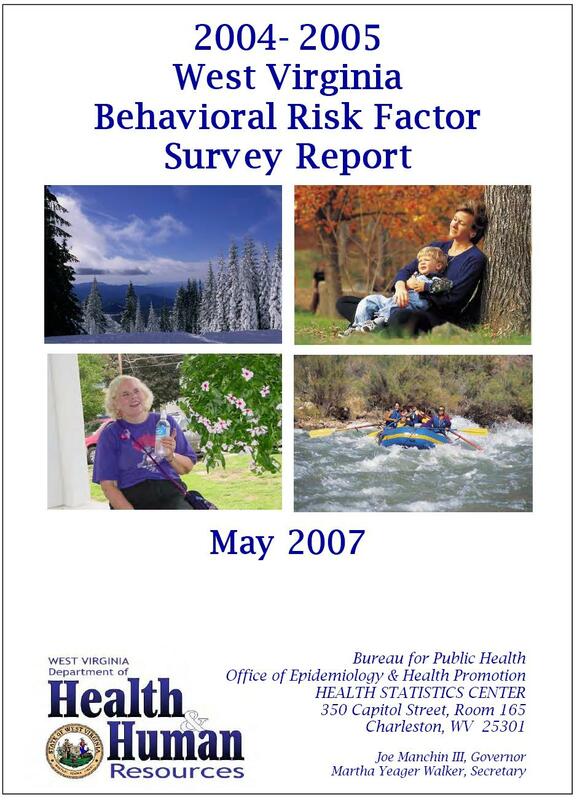 Resource Description: Each year since 1984, the West Virginia Behavioral Risk Factor Survey has measured a range of risk factors that can affect our health. This report presents state survey results for the years 2004 and 2005 as well as county data combined for the latest available five years typically 2001 through 2005. The survey is conducted by telephone and represents a collaborative effort between the West Virginia Bureau for Public Health WVBPH and the Centers for Disease Control and Prevention CDC in Atlanta. Standardized survey methods are provided by CDC. All 50 states, the District of Columbia, and several U.S. territories now participate in the system, known as the Behavioral Risk Factor Surveillance System BRFSS. Click Here for a List of All Versions of this Publication!